Rates began ticking up in the wake of the election and the upward trend is expected to continue, albeit at a slower pace compared to the first few post-election months. If you are currently in the market for a home, you may be concerned about battling increasing prices and upward trending rates. But, you could have the option to tackle affordability by buying down your rate. As RPM’s executive vice president of sales and marketing, Julian Hebron, explained in a recent CNBC article, “Buying your rate down, or ‘paying points,’ means you’re paying an extra fee on top of standard loan fees like appraisal, underwriting and a credit report to get a lower rate.” While this option costs more upfront, it could pay off in the long run. Since points are pre-paid interest, the benefit comes in the form of interest cost savings down the road. Do you have the money to pay points up front? Will this leave you with enough left over to cover unforeseen expenses? The cost of buying a point is equal to 1 percent of the amount of the loan. For example, buying a point on a $300,000 mortgage would cost an extra $3,000 at closing, or at the start of the loan. Do you plan to stay put for long enough to benefit from the interest cost savings? In order to calculate if the upfront fee is worth the potential savings over the course of the mortgage, you will need to estimate how long you plan to stay in the home. This will allow you to determine how long it will take you to “break-even”. For example, if you pay one point on a 5-year ARM and it takes 4 years to break even, you only have one year to benefit from the lower rate before the loan adjusts. Conversely, if you pay one point on a 30-year fixed and it takes 5 years to break even, you have 25 years to benefit from the lower rate. One of the risks associated with buying a point is that rates could drop after you spend the money to buy down your rate. “For now that risk is low, Hebron stated. “The Mortgage Bankers Association (MBA) is predicting that rates will rise about .375 percent from current levels during 2017.” As part of your decision making process, a loan advisor can help you review some of the economic indicators used by the MBA and other experts to predict where rates might be headed. 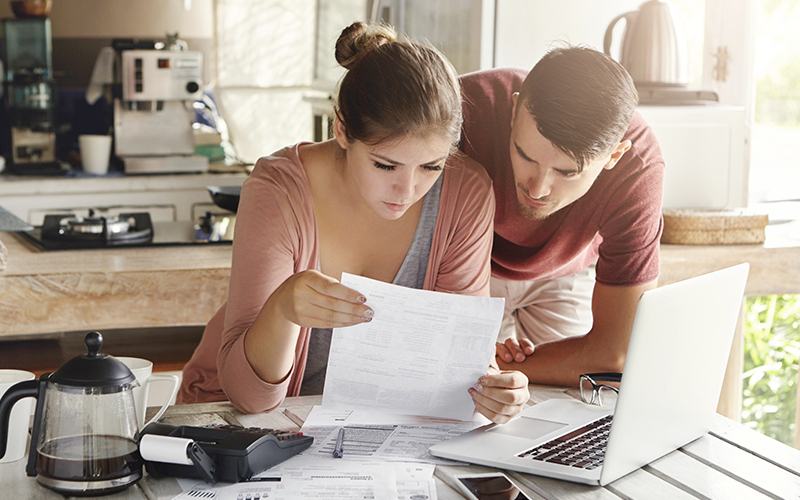 When it’s time to consider financing a home, contact an experienced loan advisor who can help you understand when buying down your rate meets your objectives.